There’s simply no way I can put India into words. Countless writers have tried, succeeding only to degrees. I have enjoyed various reports – in poetry, prose, scripture, song and travelogue – but none can touch what is felt when you come here. And I’ve only been exploring for about a month. Many have immersed themselves for years and come up short of ‘getting it’. Fortunately I am not trying to figure out India. I am simply wandering along with an open eye, keeping my head, heart and hands as open as I am able. I am grateful that there is so much here to support this effort. I am grateful for a culture that seems to prioritize a sort of ‘spiritual longview’ over shortsighted political whims. Although this also leaves a lot of projects on pause indefinitely – allowing considerable chaos, waste and decay – the general momentum is toward truth, a focus on that which doesn’t fade away. I began this journey with nearly three weeks of group travel. Eighteen of us were guided from the southern tip of the subcontinent all the way up into the Himalayas, discovering some of the varieties and subtleties of Indian culture along the way. 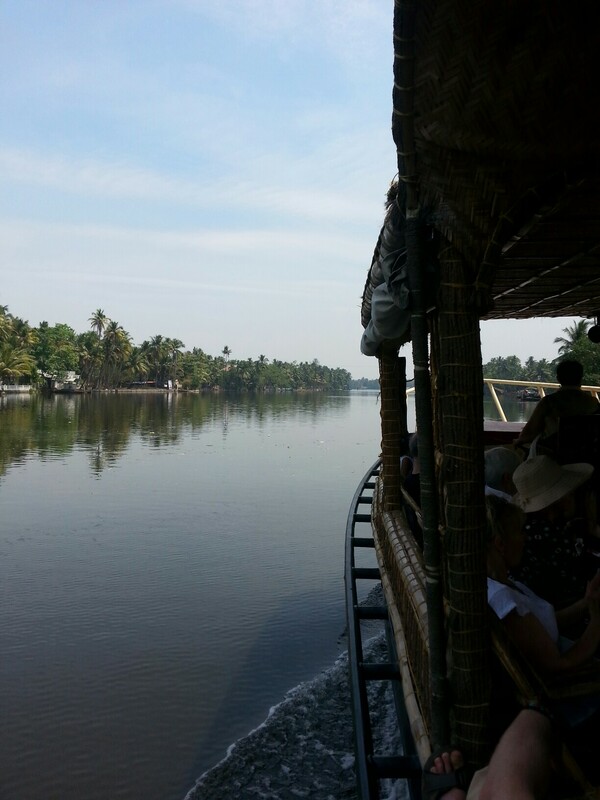 In Kerala we were hosted by a Christian family on the backwaters of a quiet fishing community outside of Cochin. 90% Christian, many in the local area were still practicing their faith as it had been introduced by the Apostle Thomas, others through the much later influence of the Dutch or Portuguese. The weather was hot and humid as we visited churches, temples, mosques and even a synagogue. We were especially touched by our sharing with a Christian seniors group and an orphanage for young girls run by nuns. We shared songs, gifts and food, along with wide, heartfelt smiles. On one of our last nights there, we enjoyed a boat ride taking us through the ‘backyards’ of locals as we weaved our way towards the sea. Once out on the open water, we cut the motor and floated peacefully as the sun set, listening to our host’s story of his arranged marriage and how well it was working out (his wife and kids are incredible…and he’s pretty great too). Staying with Ben and his family was a blessing. But even with our calm home base (Ben’s Homestay), it wasn’t hard to stumble into noisy crowds and blaring horns as we set out on the roads to various surrounding areas. 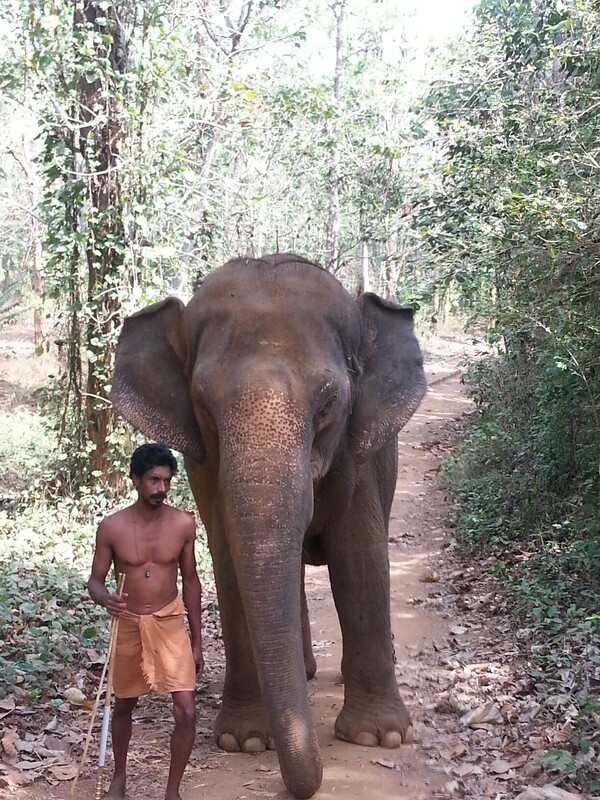 One such adventure was a visit to a nearby elephant sanctuary, which we all deeply appreciated. It was a humbling feeling laying our hands on these mighty creatures. Leaving Ben’s, we had a long and wild ride to Varkala Beach, getting caught at a pair of railway crossings for nearly an hour as vehicles lined up and jockeyed for position. Incredibly, heads remained cool. A major recurring theme throughout the journey was our amazement that there wasn’t any sign of road rage in India. Somehow traffic just kept flowing, however thick, as though there was a subtle understanding that we were all in it together. 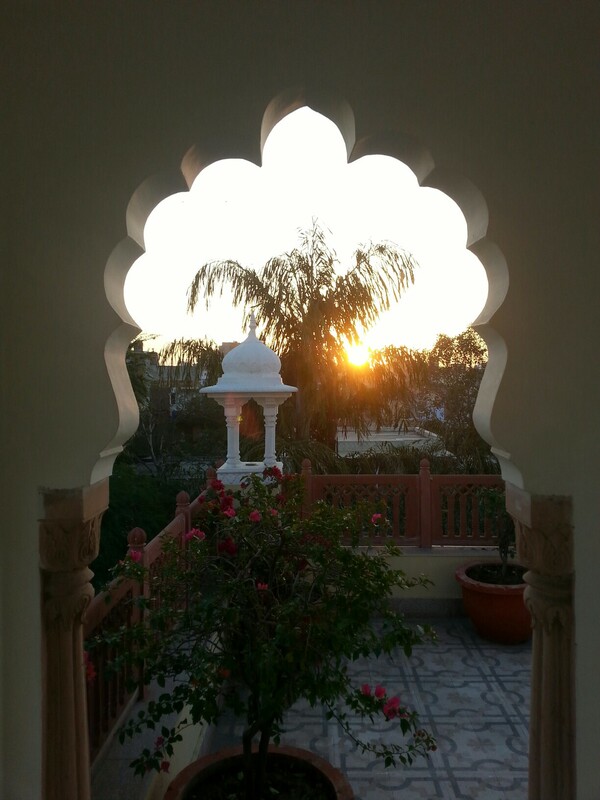 We eventually made it through the traffic and after spending a restful day at a cliffside resort, we flew up through Mumbai to Jaipur, in Rajasthan. Suddenly I noticed a different India, with slightly lighter skin tones, more turbans and moustaches, some more piercing eyes and obviously more lavish architecture. This was the India many from the west would picture in their minds. The Muslim influence was unmistakeable. 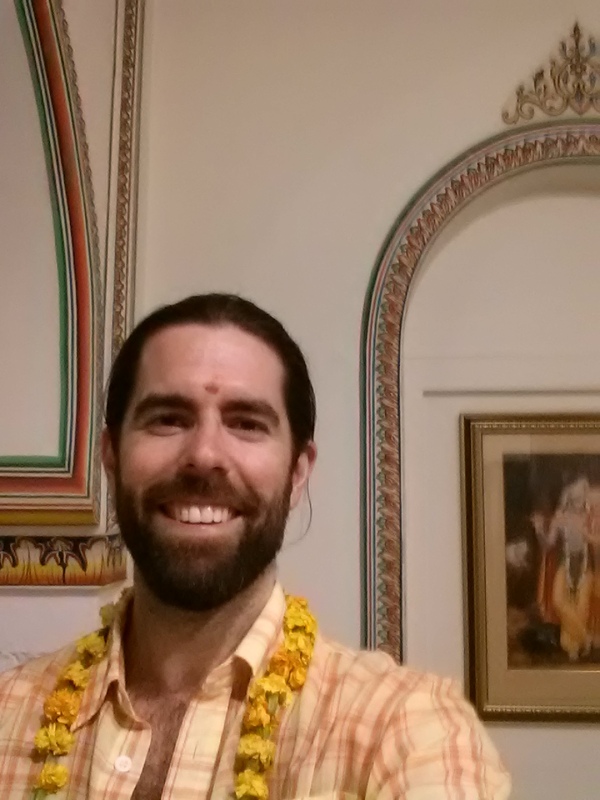 One of the major impressions I took from our time here was the inherently inviting nature of Hinduism. Throughout history it has generally welcomed visitors and invaders with similar generosity. 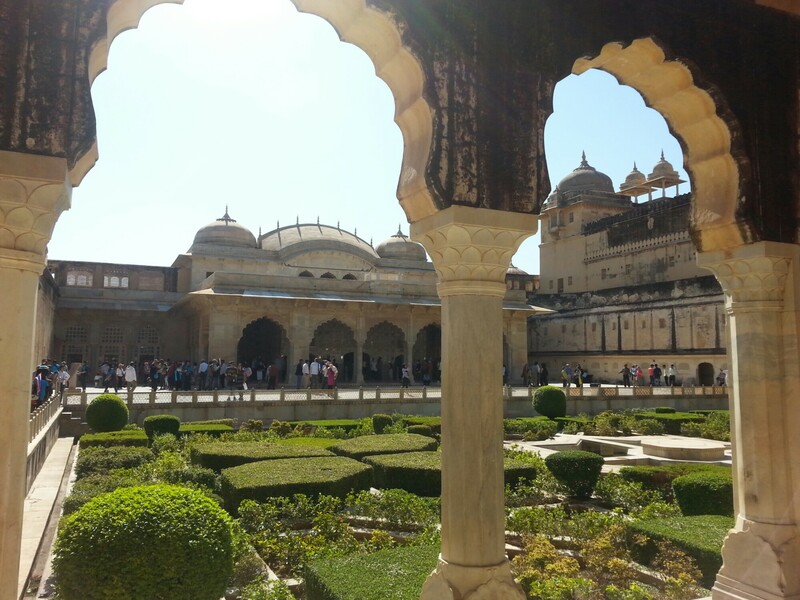 Our guide, Sher Singh, told us about several pivotal Hindu intermarriages with Muslim rulers coming from the northwest, thus avoiding bloody conflict. The state of Rajasthan exemplifies this religious and cultural blend beautifully. I even learned that the Sikh faith was born of a blend of Hinduism and Islam. There doesn’t seem to be much fear here that other cultures could weaken their own traditions or connection to the divine. This strikes me as a confidence that God can not be lost or watered down. Simple wisdom like this seems commonplace in India. I find it inspiring. After a lot of shopping and checking out a few forts and palaces (even staying in an opulent hotel that was a former Raj Palace), we drove up into the madness of Delhi. My stomach was beginning to feel a bit tender and I ended up in bed with a full-blown case of ‘Delhi Belly’. I blasted through it in a day and was back on my feet early the next morning (thanks in part to the antibiotics I took half-reluctantly). Everyone told me I picked the best day to miss, as it was pure insanity on the roads. I’m sure I could have appreciated the experience, but I was grateful for the day of rest at the retreat centre. We then set out for our flight up into the Himalayas, heading for Dharamsala. All of a sudden, the air was cool. What a change from only days before and the sticky heat of the south. Four white van taxis and our new tour guide, Vikas, met us at the airport and drove us further up into the mountains to Mcleod Ganj. Apparently the British set up shop here to escape the hot summers down below. Especially the Scots among them found it a lot like their highlands, feeling right at home. Much later, the Indian government gave a hefty chunk of this land to Tibetan Buddhists escaping Chinese oppression. This continues to anger the Chinese, but Tibetan culture is thriving in this setting very similar to their own homeland. I liked the feeling of life up in the mountains. The air was crisp and people seemed quick to smile. We thoroughly embraced the Tibetan cuisine, enjoying warm soups and momos, and plenty of honey, lemon & ginger teas. We even had the great timing to witness Tibetan Uprising Day (the national holiday) and the great honour to see the Dalai Lama speaking on some Buddhist precepts. He has such a warm, affable nature, even in the midst of his deep contemplations. 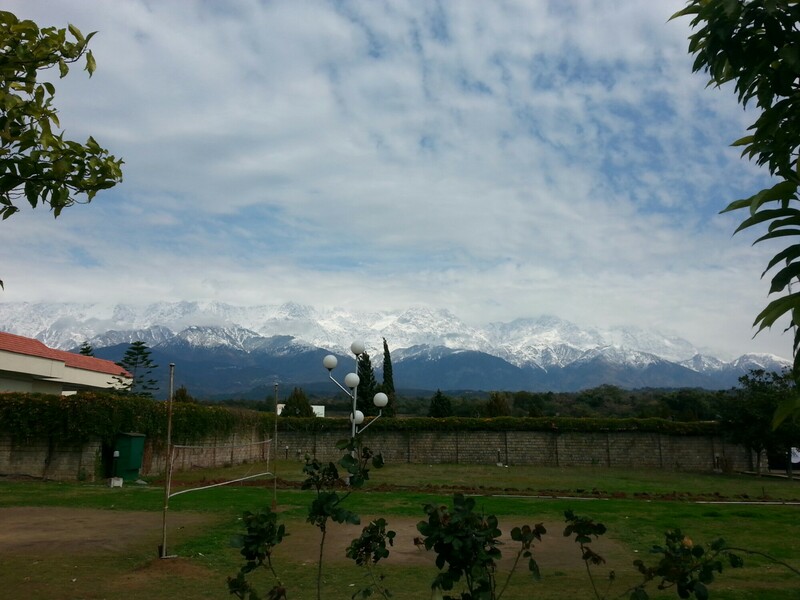 Our days sped by up in Dharamsala and it was soon time to return to Delhi and head our own ways. A few of us were keen to come up to Rishikesh, where one of my favourite spiritual teachers (Mooji) was giving one more week of Satsang before finishing the five-week season. It was a true blessing to be with him and to have his very direct pointings towards what is important in life. He is here to remind us that we’re already free, loosening the apparent grip our minds have on our lives. The whole Ashram was continually permeated with very subtle and supportive energy, two-thousand people squeezing in daily for his teachings, which were live-translated into more than a dozen languages and broadcast around the world. 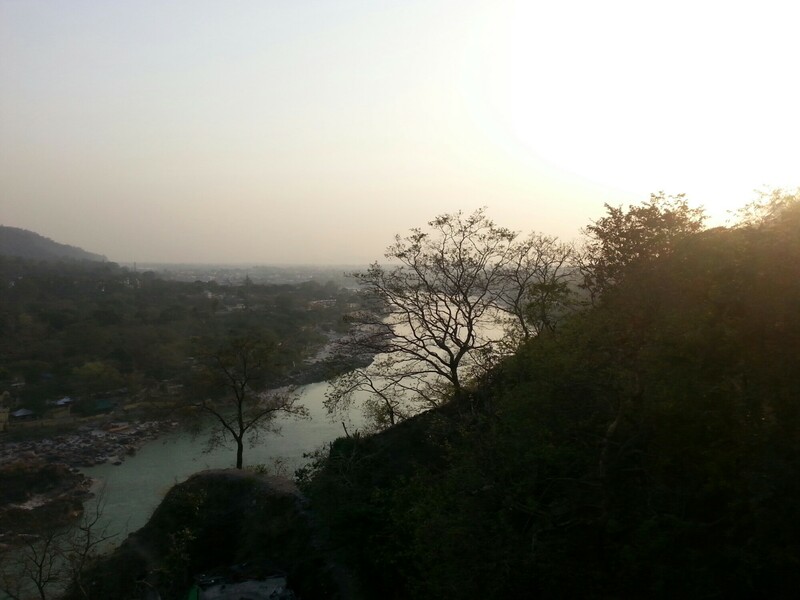 Rishikesh is undoubtedly an auspicious place. There are countless Ashrams and yoga schools here. There is a great tradition of people coming here to live by the River Ganges and centre their lives more deeply in spirit. I could imagine staying a while. So that brings me up to the moment. 🙂 Here in Rishikesh, freshly settled into an Ashram after a week sleeping in a hostel dorm, meeting good folks. I’ve got some months ahead here and no rush to get anywhere. I’ll keep on taking it all in one breath at a time. Sending love to all my family and friends all over the world…and anyone else stumbling across this post. Keep it simple, friends. We’re not here to figure it all out, just enjoy as best we can day to day…and try our best to share whatever good comes our way.